Carlisle are to appeal the diving charge on forward Shaun Miller who became the first player to be charged by the FA since new simulation laws were introduced in May. Miller, 30, is charged with "successful deception of a match official" after an alleged "clear act of simulation" against Wycombe on Tuesday. Should the charge be proven, Miller would face a two-match suspension. Carlisle will not comment further until the appeal has been heard. The charge from the FA reads: "Incidents which suggest a match official has been deceived by an act of simulation are referred to a panel consisting of one ex-match official, one ex-manager and one ex-player. "Each panel member will be asked to review all available video footage independently of one another to determine whether they consider it was an offence of 'successful deception of a match official'. "Only in circumstances where the panel are unanimous would the FA issue a charge." 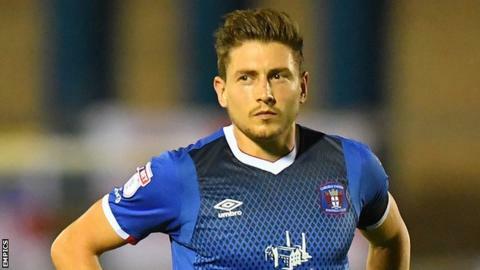 Carlisle were awarded a penalty in the first half of Tuesday's League Two game when former Crewe and Morecambe striker Miller went down under a challenge by Wycombe defender Dan Scarr in the area. The spot-kick was scored and the match ended in a 3-3 draw. The FA defines the offence for which players will be punished as "successful deception of a match official". Only incidents that result in a player winning a penalty or lead to an opponent being sent off - through either a straight red card or two yellow cards - will be punished.